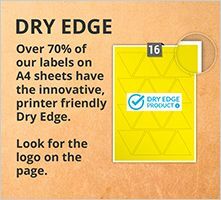 We offer a free delivery service on all plain and printed label orders (excluding Integrated Label Sheets) over £25.00 Inc. VAT in the UK (mainland only, excluding exception postcodes and NI). 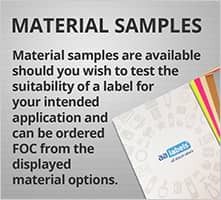 If you need your plain label order fulfilled faster, there are a range of other next-day delivery options available as shown below. We also deliver throughout Europe and countries elsewhere in the world as shown in the lists provided on this page. 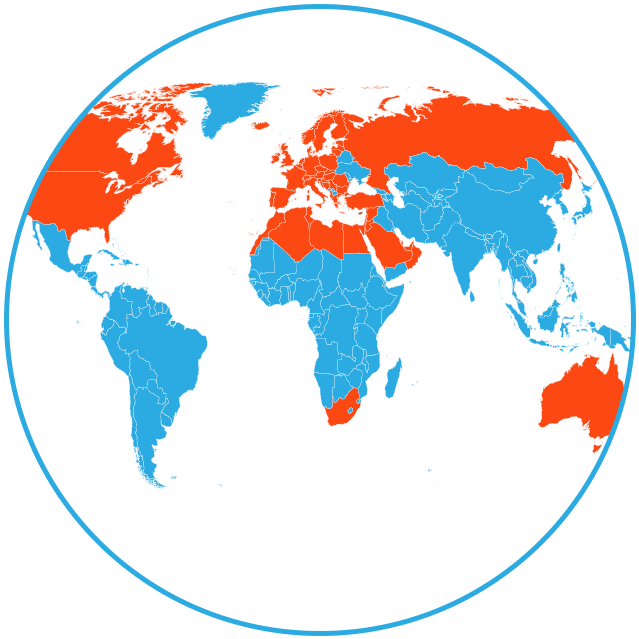 Our delivery service is provided by a leading international courier company with an extensive UK network and an unrivalled ground based service to Europe, plus an air-express service to the rest of the world. With a choice to track and amend your delivery options en-route, you order is safe and securely delivered. 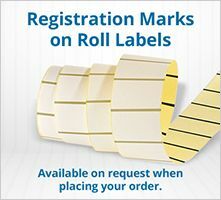 Plain & Printed Labels (For Integrated Labels the price for this delivery service will be shown on the checkout pages.) This charge applies if the delivery postcode is in a location that is considered to be a 2 day standard service by the courier companies used for delivery. (For Integrated Labels the price for this delivery service will be shown on the checkout pages.) This additional charge applies if the UK Exception Postcode is eligible for next day delivery. Please refer to the list below. (For Integrated Labels the price for this delivery service will be shown on the checkout pages.) For all UK offshore post codes. Locations considered remote e.g. Peninsulas and small islands, might on occasion take longer than two days for delivery. 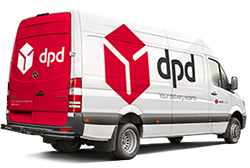 UK exception post codes qualifying for DPD next day delivery. When ordering quantities of 28,000 sheets (28 boxes) and more please ensure that you are able to receive a palleted delivery. 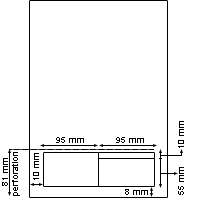 Description: A4 paper sheets (80gsm) complete with 1, 2 or 3 removable self-adhesive label sections. Packaged in boxes of 1,000 sheets. The delivery times shown are from the point of your order being despatched and should not be interpreted as the order fulfilment time, other than in the case of next–day orders placed before 16:00 on a working day. Please be aware that deliveries to exception and offshore postcodes will incur an additional delivery charge. Postcodes which classify as exception postcodes are decided by our couriers. If you would like to know which postcodes fall within this category please click on the “view list "in the exception postcodes section. Alternatively call our customer service team and they will assist you further. You can also enter your delivery details at the checkout and the delivery charges will adjust automatically if the delivery address is an exception or offshore postcode. 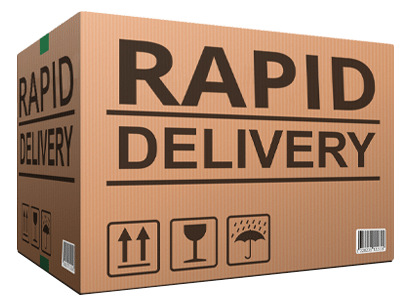 Please be assured that we continuously work with courier companies to try and obtain the best rates possible for these delivery charges. 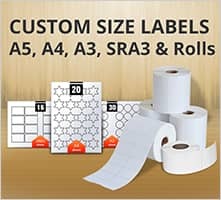 The fulfilment of custom label and/or printed label orders is generally within 3 – 5 working days from the approval of artwork/design for printing or a new label size and/or layout. 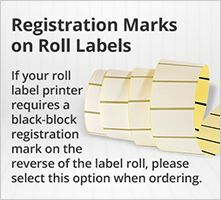 However our objective is to always deliver your labels as quickly as possible. In some cases, production of custom labels can be delayed due to unforeseen circumstances. In the event of this happening, we will contact you with a revised completion date. IN A HURRY? 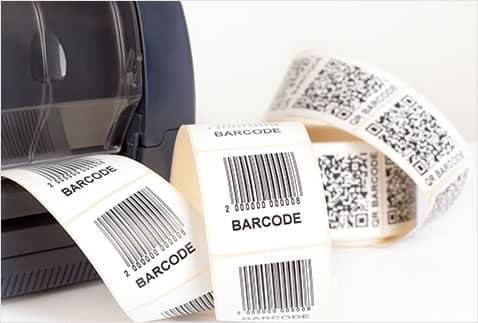 If you need your labels quickly it is often possible to produce and despatch an order by courier for delivery within the same working day. Production cut-off times vary dependant upon UK post code and journey times. Collection is also possible, to find out more about delivery options click here. Alternatively call our customer care team on the number shown at the bottom of the page. If you need assistance or advice regarding our delivery and shipping options. 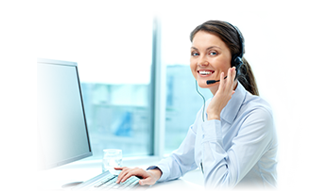 Please contact our customer care team via the live chat facility on the page, our website contact form, telephone, or email and they will be happy to discuss your delivery requirements.